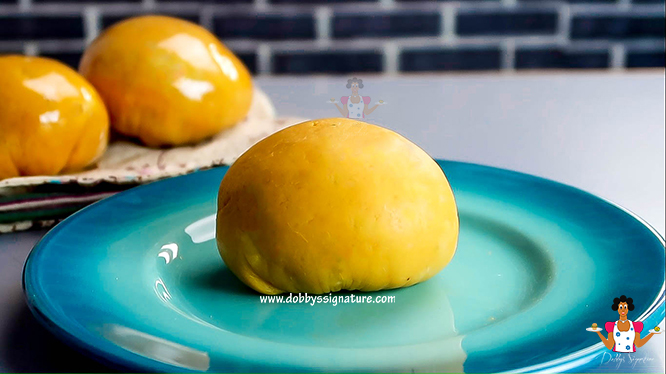 Onunu is a tasty mouthwatering delicacy from Rivers State in the south-south part of Nigeria. It's the traditional meal of the Ijaw/ Kalabari/ Degema/ Opobo people of Rivers State & Awarra/ ASA in Imo state. It was also served to women in the fattening room and during traditional wedding ceremonies in the old days. Onunu is mashed yam and plantain mixed with palm oil and some salt. It is prepared as a smooth mash (not heavy or glutinous dough like pounded yam). 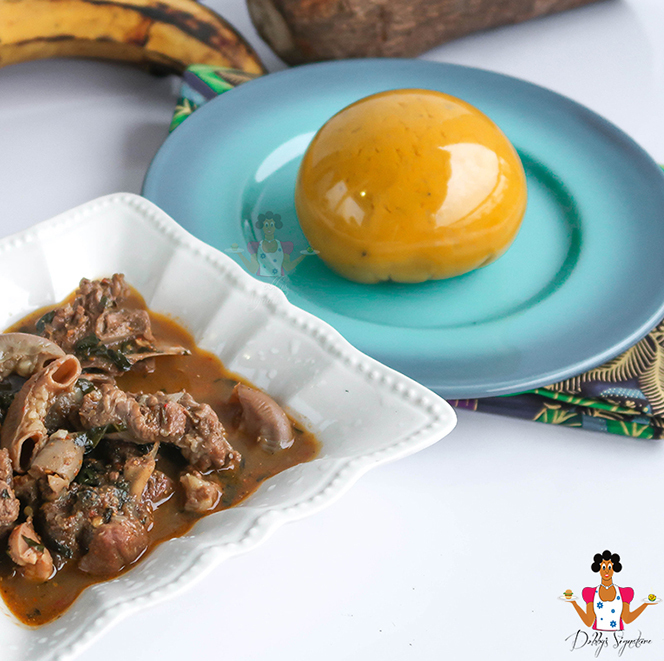 The major type of plantain used for this dish is over-ripe plantain (the dark skinned type that is almost rotten). The plantain and palm oil helps in keeping it sleek and fluffy. It's mainly served with light fresh sea food stew or fresh fish stew or fish pepper soup and eaten with a spoon. This mouthwatering delicacy from the south-south is one dish you'd really enjoy. Step 1: Peel the yam skin, rinse the yam and place in an empty pot. Add water, just enough to cover the content of the pot and cover. Cook till soft then place in a mortar and pound hot with a pestle. Step 2: Rinse the plantain whole and divide into two or three with the skin on before pounding the yam. Place in a pot, add water and boil till soft. Once it's soft, remove the skin and add the plantain to the pounded yam in the mortar. Mash to mix the plantain and the yam together. Step 3: Add salt to taste and palm oil to make the mash sleek and smooth. Once you have a smooth well combined dough, your onunu is ready. Serve with Light fish stew or Fresh fish pepper soup.